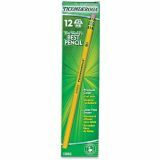 Ticonderoga Woodcase Pencil, HB #2, Yellow, Dozen - Classic yellow Dixon Ticonderoga pencils emphasize comfort and performance in writing. 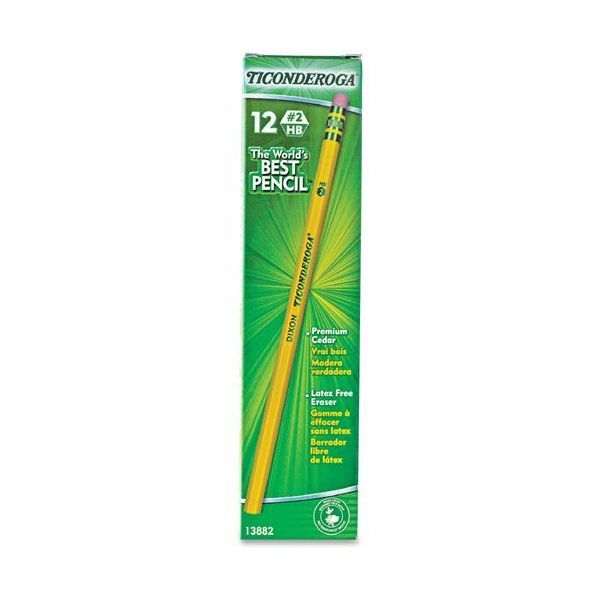 Pencils have a smooth satin finish and a unique graphite formula in its core. 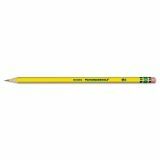 Wood pencils are made from reforested California cedar. Quality erasers make corrections easy. PMA certified nontoxic.